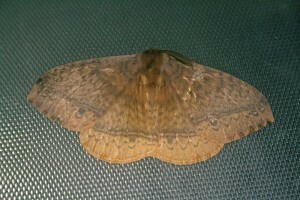 How can I get rid of Winter Moths? What do you have for winter moths? I live in Massachusetts and we have them active now. Seems like its getting worse this past week. Some years there are caterpillars in the trees all summer and we spray if we see them but didn’t this year. Now I’m seeing hundreds of them crawling on my trees. Anything strong enough to kill them now? Winter moths (aka: Operophtera brumata) are actually quite active in the fall. Its what makes unique compared to other species. Here’s their story.. 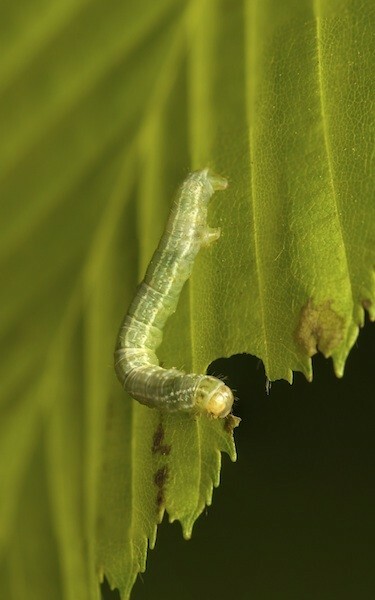 In the spring, they’ll hatch from eggs and their larvae will feed on leaves and new plant foliage. They’re little green worm like critters and you’ll notice webbing in your trees where they’re active. Here’s a close up image of one feeding. As they feed, they’ll defoliate trees ultimately leading to disease and eventually tree death if left untreated. 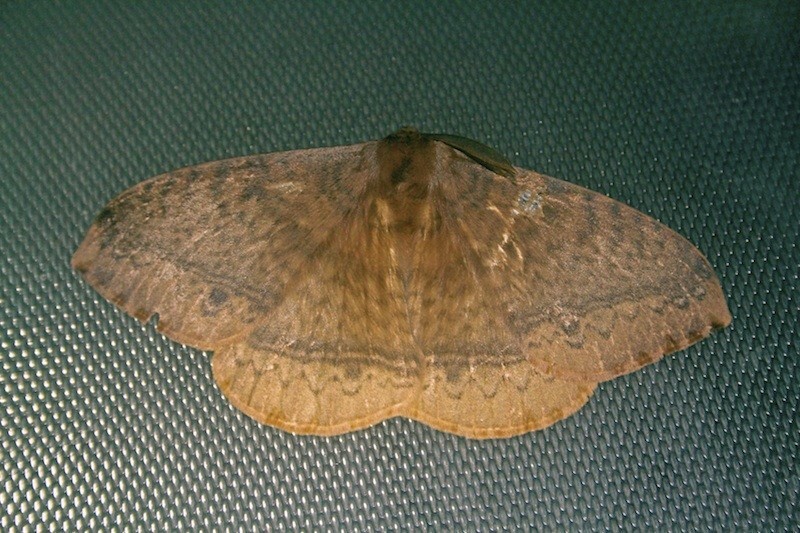 What makes this moth unique is that in the fall, especially November, the adults hatch from their pupae even as it gets cold. They can do this because for the most part, cold doesn’t bother them. Once they hatch, they’ll remain active until the coldest part of winter which is usually in January. Females can’t fly so they’ll hunker down on tree trunks, foundation walls, etc. They’re hard to see (they have natural camouflage) but they’ll lay in wait attracting males. Males will fly to them, mate and leave. Females will then lay eggs on the trunk of the tree which will hatch the following spring and start their cycle all over. The big problem with this moth is the numbers they’ll produce. Females will typically lay 100-200 eggs a season and she’ll leave them all over vulnerable tree trunks. Trees which get them typically see the problem escalate from year to year since females can lay so many eggs. And they don’t discriminate which tree they attack. So to answer your question; you should treat now. CYONARA RTS can be used and for a few trees, it will do the job. It simply hooks to your garden hose should be sprayed up the tree trunk 10 feet and then to the ground. 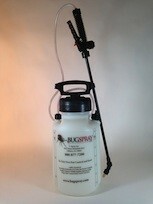 Be sure to spray the ground under the drip line of infected trees. Females may forage there or find some areas to lay eggs so the ground should be protected too. One jug of Cyonara will be enough for treating up to an 1/4 acre stand of trees. For 1/2 acre lots or larger, go with BIFEN XTS. Its concentrated and can cover a much larger area. 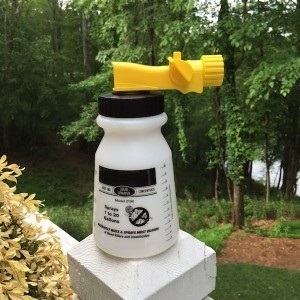 Use 1/3 oz per gallon of water if you want to apply it with a PUMP SPRAYER. But it can also be used in a HOSE END SPRAYER. Expect to treat twice now, in the fall. And come the spring, it would be wise to spray at least once whether you see activity or not.